Sir Robert Howell Vaughan (1723-1792) by William Parry (1742-1791). The portrait was painted circa 1784, when he was around 60 years of age. WILLIAM PARRY 1743-1791 – A pair of portraits, Robert Howell Vaughan and Anne Vaughan, his wife, oils on canvas, unsigned, 29.5 inches x 24.5 inches, contained within the original gilt gesso moulded swept frames. 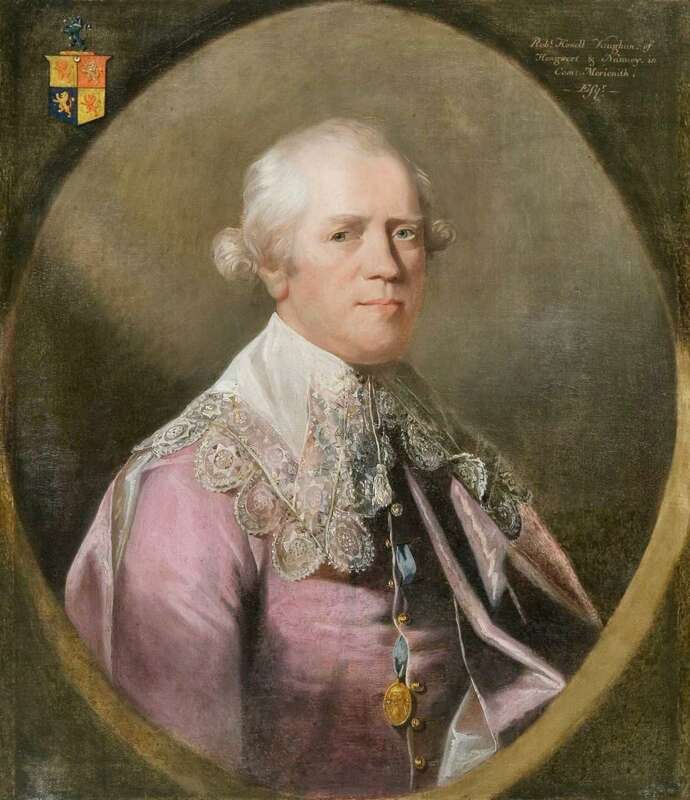 Robert, aged c. 60, head and shoulders, to the right, in painted oval, wearing a deep lace collar and pale-puce “Vandyke” suit, with oval portrait medallion suspended from a blue ribbon, top left, the arms of Vaughan of Hengwrt, quarterly of four. Inscribed top right, Robert Howell Vaughan. Of Hengwrt & Nannau in Com. Merioneth Esqr. Anne, aged c. 53, head and shoulders, to the left, in painted oval, with high powdered hair, wearing a blue dress and white lace veil embroidered with stars, top left the arms of Williames of Ystymcolyne, quarterly of four. Inscribed to right, Anne Williames, Wife of R.H. Vaughan Esqr heiress of Ystymcolyne & Com. Caernarvon. The portraits were recorded by John Steegman, in the early 1950s on his visit to Nannau, the home of the Vaughans, but are listed as, Anonymous. They are however, without doubt by the same hand as that of Robert Williames Vaughan, being even more typical of Parry’s work, the portraits being enclosed within painted ovals, like the portraits of all three sons, executed in coloured chalks, for which Parry received a commission from Robert Howell Vaughan, in (probably) 1784. (C84a) Plate 35, (C84b) Plate 36, (C84c) Plate 37. The foundation of Parry’s relationship with the Vaughan family can be traced to 1770, if not before… and Parry continued to receive work from the Vaughan’s during the 1780s. Their commissioning of further portraits… steadfastness to maintain an estate that for more than 1,000 years has been in a family uninterrupted. Cato, Miles Wynn. Parry. The Life and Works of William Parry (1743-1791). Steegman, John. A Survey Of Portraits In Welsh Houses, Volume I, Houses In North Wales. The National Museum of Wales, Cardiff 1957, Page 232, Numbers 27 & 28. Nannau Schedule of Contents 1958 numbers 22 and 23. Robert Howell Vaughan 1724-1792 married Anne Williams, heiress of Meillionydd and Ystumcolyn. High Sheriff 1784. 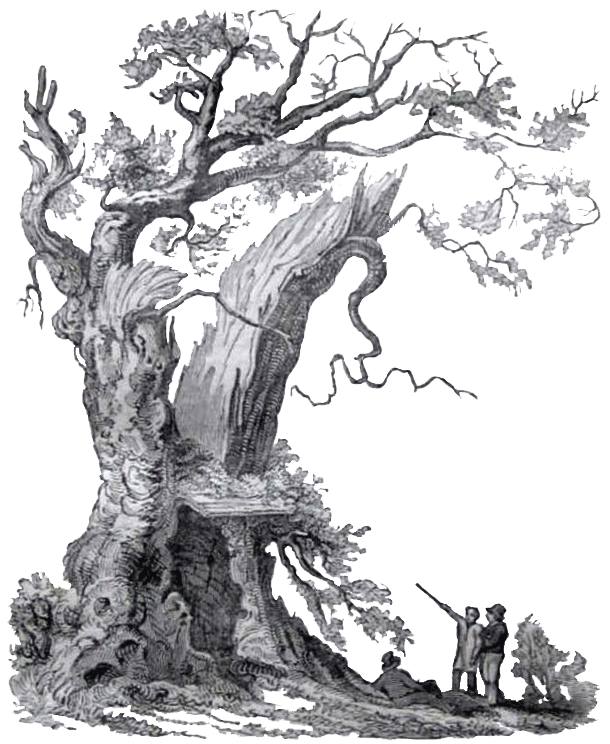 Created Baronet 1791. Anne Vaughan (nee Williams) 1731-1791 Wife of the above.